Viber is a free call, text, and video messaging app that keeps you connected with your friends and family anywhere in the world. This app freely connects users around the world with the people that matter to them most, sending good vibes every day and making great things happen. With more than 650 million people on the platform, Viber gives people all over the world the ability to connect in the way that works best for them, whether it is through individual messaging, video calls or group chats or following brands and celebrities on Public Chats. The application lets you send free messages and make free calls to other Viber users, on any device and network, in any country! It syncs your contacts, messages and calls history with your mobile device. 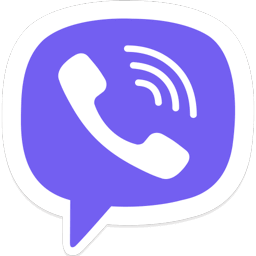 Viber can be used on iPhone, iPad, Android, Windows Phone, Windows OS, Mac OS X, Linux OS and Symbian devices over 3G/4G or WiFi connections. Lots of awesome stickers! All the stickers from your mobile phone, now on your desktop. Just click, sync and send. Public Chats! It is a new way to get behind the scenes with music, film, fashion, sports or whatever else you’re into. Follow Public Chats to peek inside the chats of celebrities, personalities, and other public conversations. With Viber Out you can call mobiles and landlines worldwide at low rates. You need to Buy Viber Out credit; Launch Viber on your mobile phone or desktop; Dial any number and Start talking! Download static and animated stickers from the Sticker Market; sort and reorder your stickers. Create group messages with up to 200 participants; ‘like’ each other’s messages; manage your group chats as an Admin, editing info and deleting participants. Follow Public Chats – get on the inside with your favorite personalities; watch their conversations unfold in real-time, ‘like’ comments, forward Public Chats messages and share multi-media content. Download Viber, enter your phone number and start connecting with your friends.